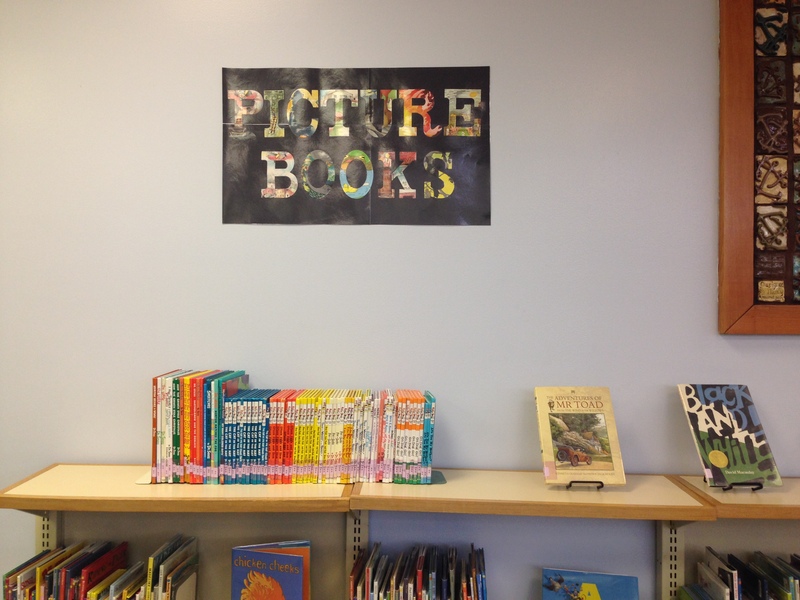 Just a quick post on some fun, inexpensive signage we put up in the library this year (cheap in materials, not in the method they were made). We are grateful to have the VariQuest Cutout Maker 1800 in our workroom. It’s a computerized system that die cuts shapes and letters from a whole internal catalog of choices. It’s oh so sweet. Since it can take any kind of paper up to 12×18,” we often have discarded books with cool pages that we keep around to use. 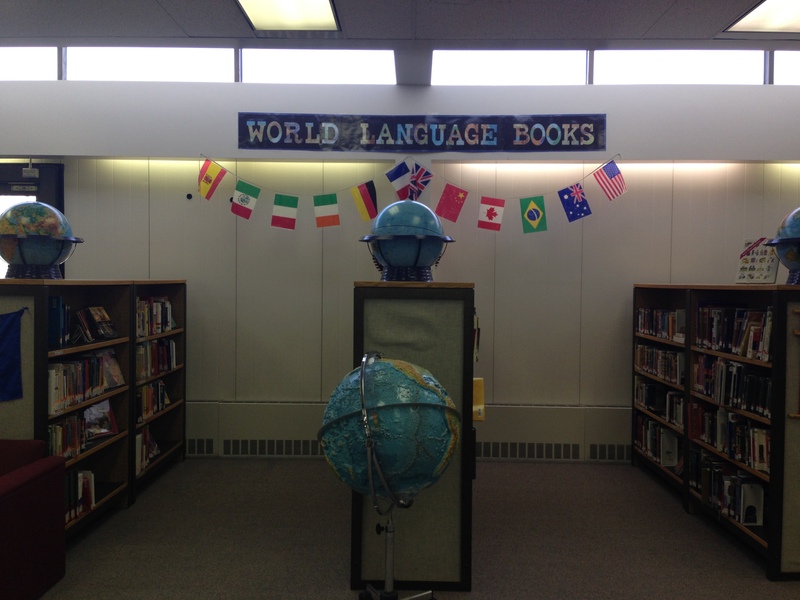 Our World Language sign used map pages out of an old atlas. 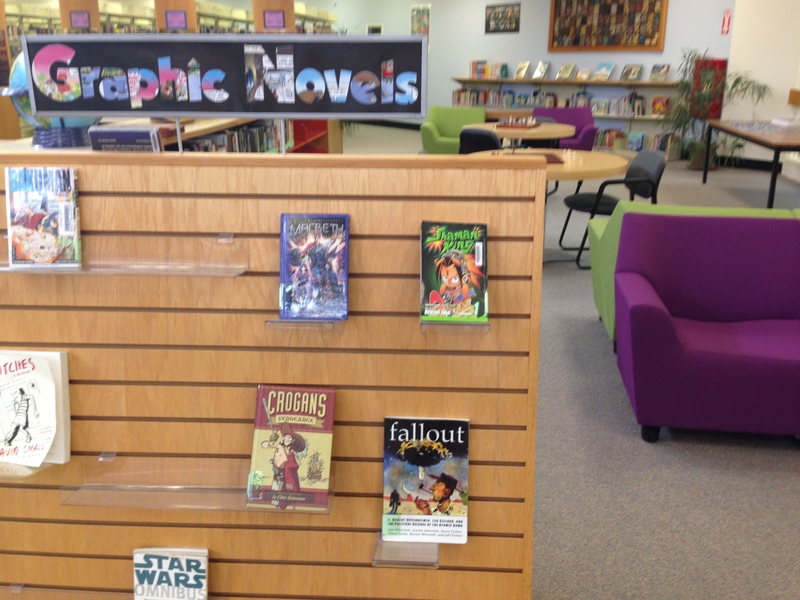 And our graphic novels section got a sign made from, well, you know.